Order in the next 7 hours 23 minutes for delivery on Wednesday, April 24. For engraving, order in the next 6 hours 24 minutes for delivery on Wednesday, April 24. Order in the next 7 hours 23 minutes for delivery on Monday, May 6. For engraving, order in the next 6 hours 24 minutes for delivery on Monday, May 6. 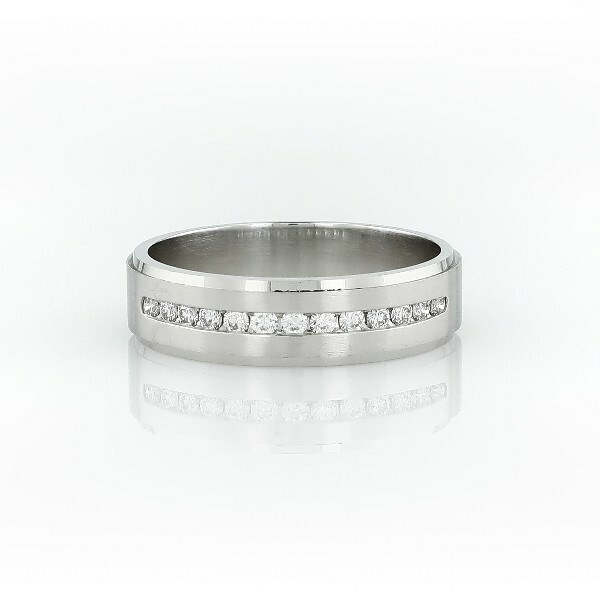 Make your love resonate with this enduring platinum wedding band, showcasing illuminating channel-set diamonds. FREE FedEx® Shipping Delivery time varies by size, select your size for shipping estimates.